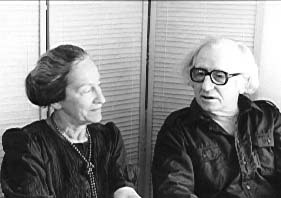 Husband and wife, Yonat and Alexander Sened wrote their novels together. Alexander (1921-2004) was born in Poland, and came to pre-state Israel in 1935. After World War II, he was sent to Europe to organize the immigration of Jewish refugees. There he met Yonat (1926-2014), who was born in Częstochowa, Poland, and escaped from the Warsaw Ghetto during World War II. A few days after they met, Yonat went to study at Geneva University. When Israel's War of Independence broke out, the couple came to Israel illegally, settling at Kibbutz Revivim in the Negev. Alexander later became chief editor of Hakibbutz Hameuchad Publishing House; Yonat lectured on Hebrew literature at Ben Gurion University and translated French literature into Hebrew. They published 10 novels, some of which have been translated into English, French, Portuguese and Yiddish. 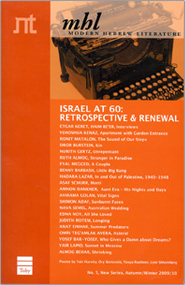 The Seneds received several literary awards, including the Prime Minister's Prize, the Brenner Prize twice (1965, 1982) and the Agnon Prize (1988).